The Avaya 1416 Digital Desk phone is designed for the type of user who has to manage many calls in a day and needs an overview of the individuals in the business. Receptionists, assistants, and managers are key people in the business who need the kind of visibility provided by the Avaya 1416. 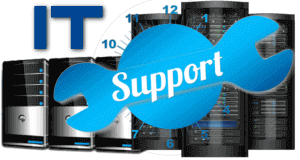 Staff who answer incoming calls, transfer customer calls to other departments or extensions, or need a visual overview of several lines on a typical day. 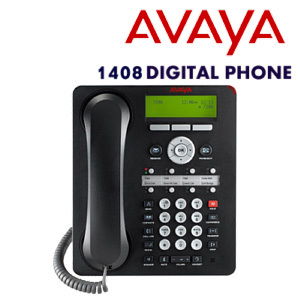 The Avaya 1416 Digital phone provides a host of one-touch line, feature and speeds dial buttons without the need to scroll through on-screen lists. The Avaya 1400 Desk phones provide support for hands-free (speaker phone). All phones are in the well-known design of the 1600 IP Series, are wall-mountable and black in color. The most important functions are easily usable via fixed buttons situated around the dial pad. The 16(+32) administrable buttons, each with a red and a green LED and paper labels are designed for users with the need to see many extensions at a glance and dial with one fingertip. 1400 are expected to be of great interest to customers with regional offices, branches, teams with intensive call handling, secretaries or receptionists in the hotel. The state-of-the-art graphical displays can also show letters from complex languages.Avaya 1416 offers the most important functions via hard key, three contextual soft keys, and a headset jack.We recommend Avaya 1416 with an adjustable 4-line display and the option for the Button Module as the most comfortable choice for an Essential or Navigator user profile. By offering a large range of digital p[hones and IP phones Avaya help business to very efficiently equipping employees’ working spaces, turning communication into your competitive advantage. Avaya 1400 Series is well suited with Avaya IP Office 500 Platform and Avaya Aura Enterprise communication Platform.